Let's put a roof on it ! We started this project in October 2017, when with the help from our founder and board members, we purchased a piece of land in the community of Lebrun in the southwest of Haiti. 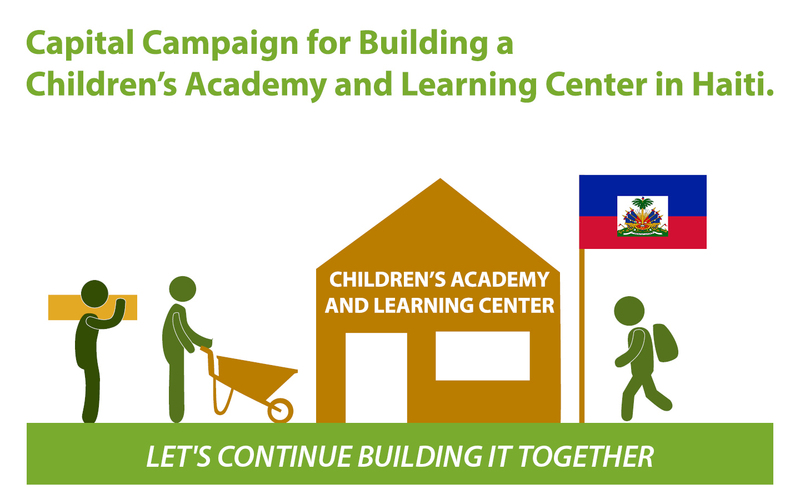 This marked the first step towards planning the construction of the Children's Academy and Learning Center to empower at-risk Haitian children and youth and provide the opportunity to attend a safe school building and receive an adequate education and training regardless of their circumstances. In February 2018, we launched a capital campaign to raise $250,000 to fund the entire construction project and cover the operating cost for the next five years (2018-2023). Construction of the first phase of the new Children's Academy is underway, with expected completion in early 2019. Significant progress has been made thus far. As you can see from the photo below, the walls are up, a cement floor was installed, and a water system is in place. 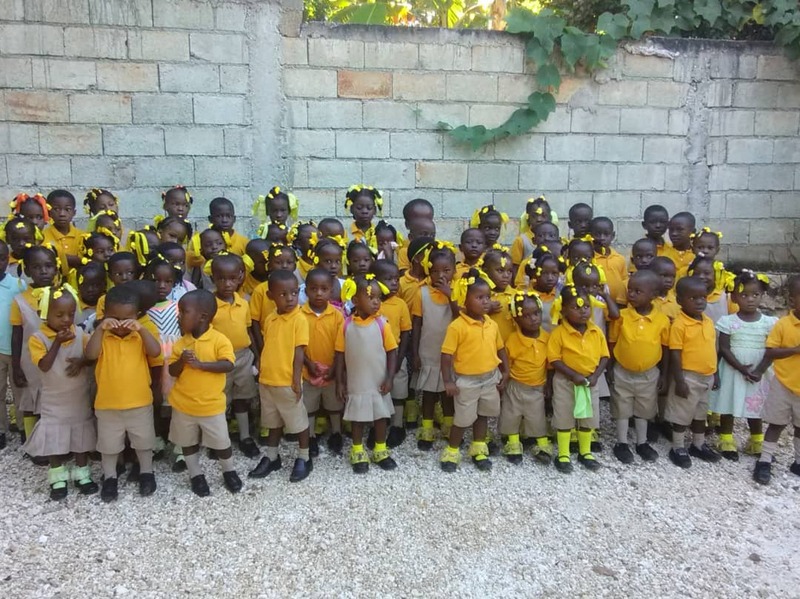 We need your help today to raise $25,000 to add a roof, 7 doors, and 17 windows so that our first 100 children can enter those doors as a safe place to learn, read, relax, connect and grow. New 4-classroom structure to house an early childhood education program for 100 at-risk children with school gardens and with a focus on the holistic development of children and adolescents (2018-2019). Relocation and enhancement of library and tutoring spaces to prepare and inspire changemakers in rural Haiti (2019-2020). A Summer Camp facility with playground to accommodate a minimum of 500 children. A child health clinic to provide quality and accessible medical care and information for children (2020-2021). The training center will be fully functioning with solar energy, water cisterns, and computers with commercial internet access. A dormitory to provide housing for both local and international teachers and volunteers, allowing us to bring together diverse groups of people to leverage their abilities, interests, and resources in order to generate shared value and benefits for the self-expressed needs of the community. But the Children's Academy and Learning Center will not just provide excellent schooling. It will also be a working model of education-centered community development in rural Haiti. Students will learn locally relevant knowledge and skills, like permaculture gardening and how to compost. While their children are in school, parents participate in adult education classes, or community savings and loan groups, or visit the on-site health clinic, or contribute service hours. In the afternoons, local youth will take language or entrepreneurship classes, or learn vocational skills working in the handmade bracelets social business. Rural Haiti is no ordinary context. This is why we're building the Children's Academy and Learning Center as no ordinary school.
" It is exciting to think that by the end of this year, 100 students will be learning, growing and building community in a solar energy and computers with internet access building in rural Haiti," said HavServe Founder, Carline Brice-Mesilus. "We will continue to grow and improve our programs because it has not only earned the community's confidence, but it has increased their overall commitment and ownership of project efforts. Community participation at all levels in the community have strong ingredients of sustainability, but we need funding to build and create this small sanctuary in rural Haiti."